Where solid wood floors are typically 18mm thick planks cut directly from a tree, engineered floors are constructed of layers of wood pressed together, with the grains running in different directions called a cross-ply construction. Engineered flooring has several layers and the greater the layers, the greater the stability. This stability allows the floor to be installed as a floating floor directly onto timber or concrete sub-floors. Engineered wood flooring is made from layers of inexpensive wood materials with a solid wood veneer top between 1.5mm and 6mm thick and the overall thickness of the flooring can range from 10mm to 22mm. It is available in a range of oiled, lacquered and hand scraped finishes that look elegant, adding warmth and character to any room in a home. There are several good reasons for choosing an engineered wood floor. In cases where the solid wood is expensive like walnut, only the top layer will be walnut with the remaining layers being constructed from more inexpensive wood materials. This creates a more affordable option than a solid wood floor. Engineered wood flooring like solid wood flooring, comes in a wide variety of species, stains and finishes that create a unique individual look full of warmth and character to enhance any room of a home.  We can supply and fit engineered wood flooring to your commercial or residential property. Contact us for a free, no obligation quote.